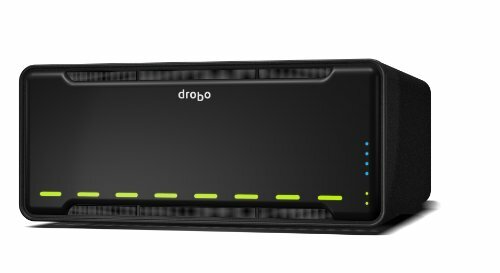 The Drobo B810i combines the most advanced storage technology with Drobo ease-of-use and affordability. It is optimized for small businesses to provide reliable and high-performance storage to servers running applications like file services, data protection, email, and server virtualization. 8-bay SAN (iSCSI-attached) capabilities for up to 48TB, and the Drobo B810i can also utilize a mix of SATA and SSD drives within a single chassis for improved performance levels that adapt to your workloads in real time.